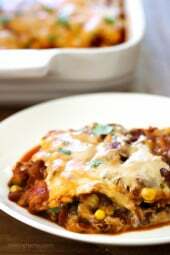 A saucy, lasagna-like Mexican-American casserole layered with vegetables, tortillas, sauce and cheese. 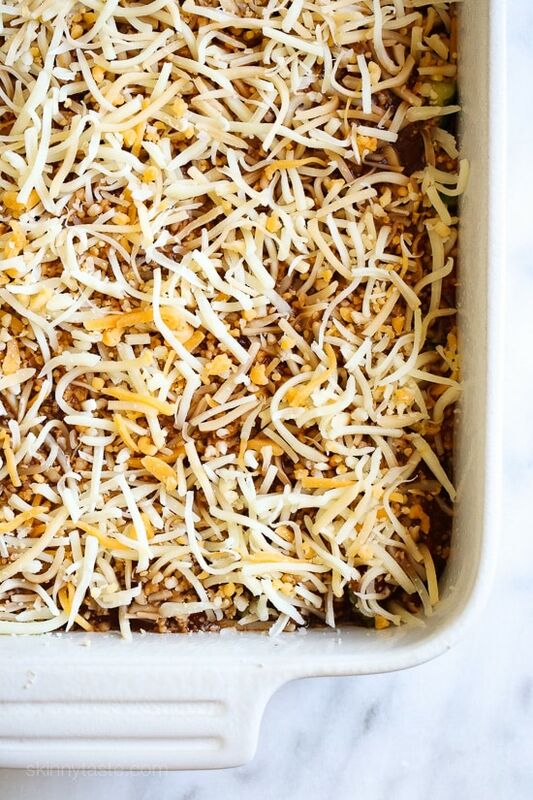 Perfect if you’re feeding a crowd or to make ahead for the month, once cool you can refrigerate or freeze it in portions. 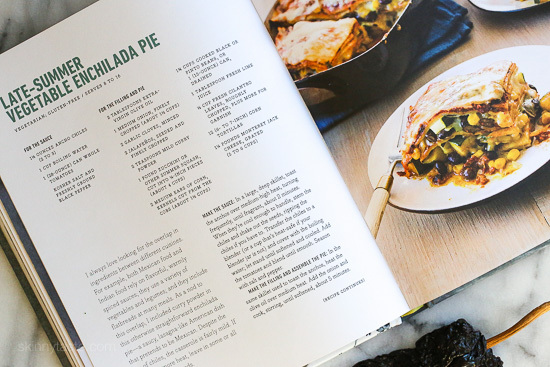 Because of my love for enchiladas, this recipe caught my attention while paging through the Modern Potluck; Beautiful Food To Share cookbook. A beautiful cookbook with so many recipes I can’t wait to try. With the end of summer here, this is the perfect meatless dish to use up all that zucchini and corn. I slightly modified this dish to make it lighter, by using less cheese and only two layers of tortillas and it worked out perfect. The enchilada sauce made about 5 cups total, if you want to skip the step of making your enchilada sauce from scratch. 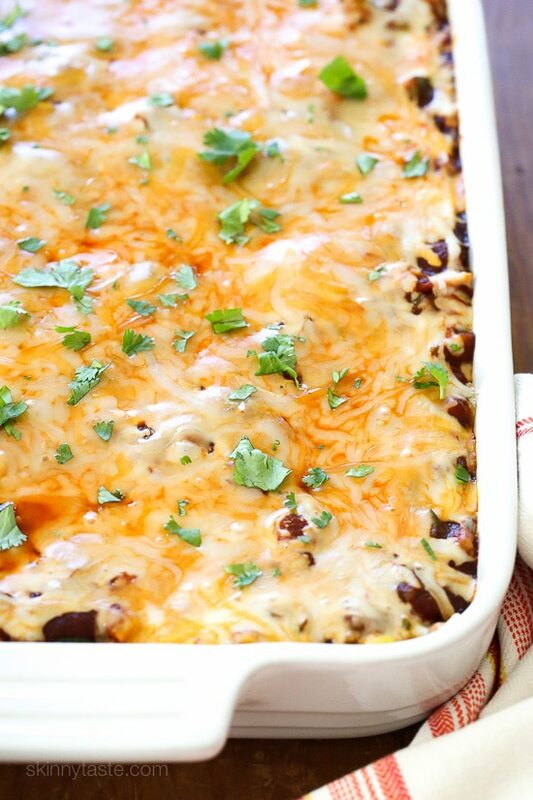 This is a great base for other flavor variations. 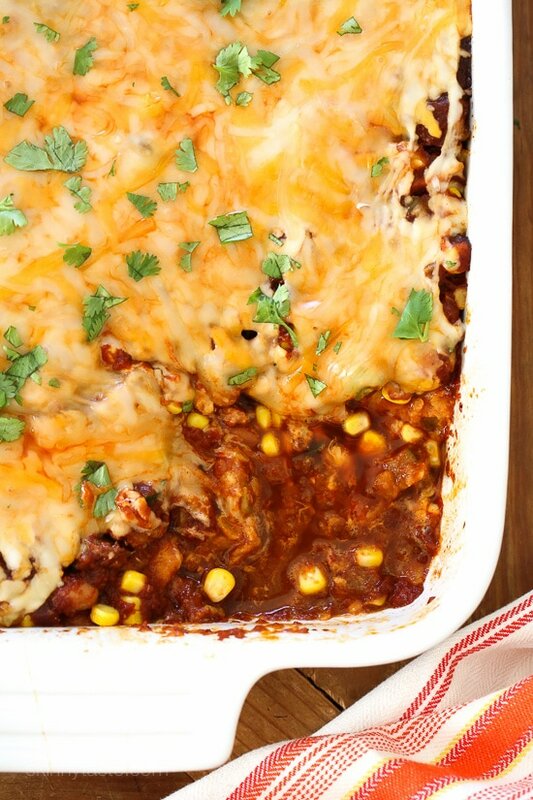 Next time I make this, I will try a version with different veggies and maybe chicken using my homemade enchilada sauce instead (found in my cookbook). Hope you enjoy this wonderful dish! 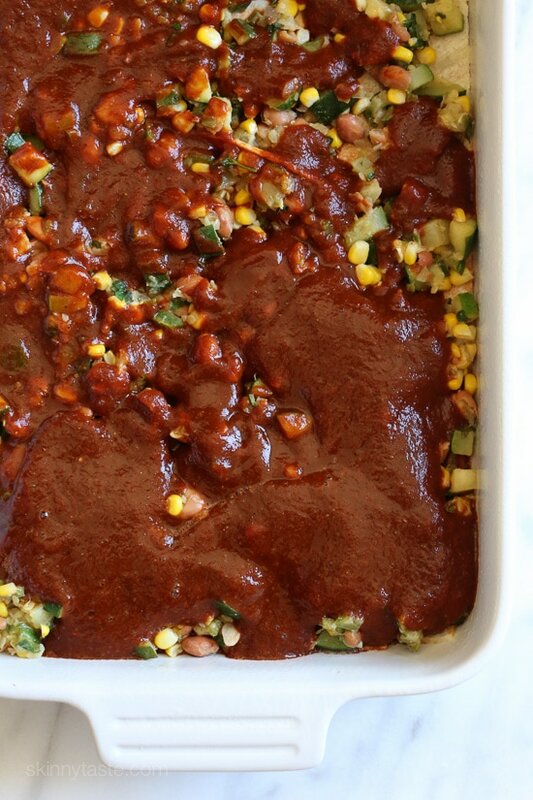 Ancho Sauce: In a large deep skillet toast the anchos over medium-high heat turning often, about 2 minutes. When cool remove stems and seeds. Transfer to a blender with hot water and let it get soft. When cool add tomatoes and blend until smooth. Season with salt and pepper. Filling: In the skillet heat oil over medium heat, add the onion and cook until soft, 5 minutes. Add the garlic and jalapeno and cook until fragrant, 1 minute. Add the zucchini and cook until tender yet firm, 4 to 5 minutes. 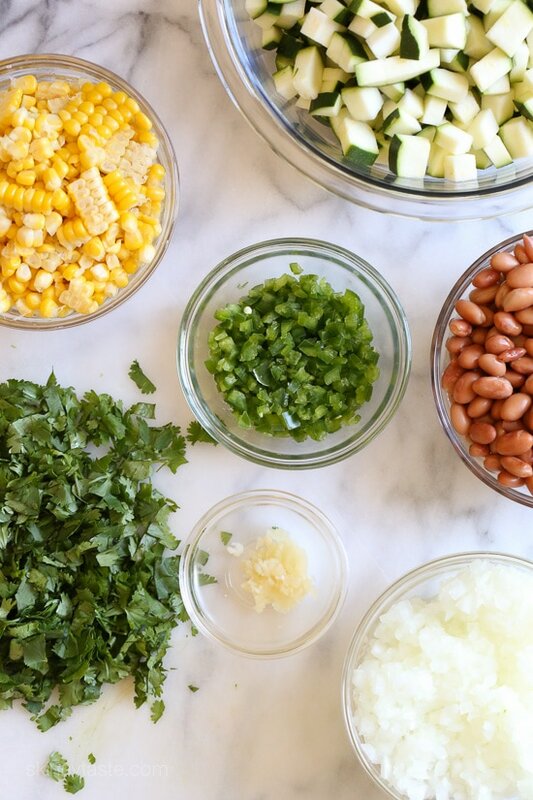 Add the corn, beans, lime juice and cumin and cook 2 minutes. Add 1/2 cup cilantro and stir. Preheat oven to 375°F. Grease a 9 x 13-inch baking dish. 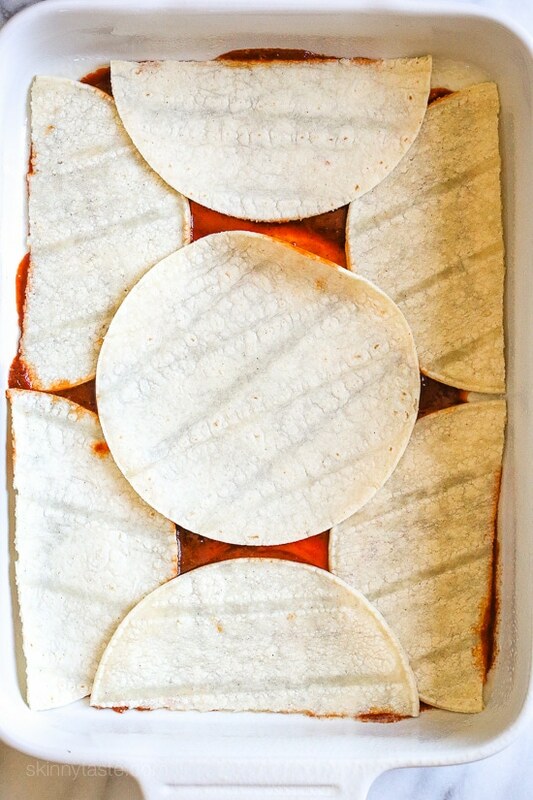 Spread 1/2 cup sauce on bottom of casserole, arrange 4 tortillas on a single layer (cutting them in half to fit). Spoon half the veggie filling over the tortillas, and top with half of the remaining sauce and 1 1/2 cups cheese. Repeat with the remaining tortillas, veggies, sauce and cheese. Cover with foil and bake 30 minutes, until the filling is bubbling. Let cool 10 minutes before cutting, then serve.